Detailed review of The Ordinary Hyaluronic Acid Serum. See what real experts and actual users have to say about this face serum. With sleek, simple packaging that passes as a luxury brand, The Ordinary Hyaluronic Acid Serum peaked my interest just from the look of it. As a hydrating face serum that costs less than $7 for a fluid ounce, I couldn’t wait to see what this serum was all about. This serum is simple to apply and dries in an instant, making it easy to seamlessly incorporate into both your morning and nighttime skincare routines. As an odorless face serum that can be easily worn under your makeup, there are definitely some positive aspects about this product. While it sets out to be a hydrating face serum, it definitely doesn’t deliver on those claims. And in fact, it dries your skin out more than most. However, it does manage to even out skin tone and keep congestion at bay, making it a worthwhile serum to check out if those are your chief skincare complaints. At such a cheap price point, and with quick results, this is a worthwhile face serum to consider depending on the skincare goals you have for yourself! The Ordinary Hyaluronic Acid Serum is extremely thick. I would say it’s closer to a gel consistency than the average face serum is. However, despite how thick it is, it’s still super easy to apply to your face and neck, which is great! Once the serum dries down, you can’t tell that it’s a thick serum. It doesn’t leave behind an overwhelming residue. In fact, for the most part, it just leaves behind a slightly tacky feeling, which isn’t uncomfortable at all. The application of The Ordinary Hyaluronic Acid Serum is super easy. It has a dropper applicator, which I normally don’t like, but since this serum is super thick, I think it’s helpful. I only needed three large drops of the product to fully cover my face and neck, so this is definitely a serum that’s going to last you a long time. It doesn’t specifically say to use it on clean, dry skin, but I just always assume that a serum should be applied to prepped skin, so I went ahead and cleansed and toned my skin before application. With this serum, definitely make sure your face is completely dry from your toner, because I jumped the gun once and it created a weird, soapy look on my skin when I was rubbing the serum in. Once the serum has dried, apply any other products you use on a daily basis. I did find that it was a bit more challenging to apply my moisturizer on top of this serum. I’m not sure why that is since the tacky residue isn’t overwhelming at all, but I had to work harder to actually rub in my moisturizer. Finally, this serum should also be used both morning and night. I found that it was really easy to use in both my morning and nighttime skincare routines, especially in the morning since it was seamless to wear under my makeup! The dry time for The Ordinary Hyaluronic Acid Serum is insanely fast! I actually found that it was starting to dry while I was still rubbing it in around on my face. I would say within 10 seconds of application, this serum is completely dry. This is fast for any serum, but especially for one as thick as this serum is! For the most part, I think The Ordinary Hyaluronic Acid Serum is odorless. And for sure once you apply it to your face, you can’t smell anything at all. I do smell a very slight sweet smell, almost a coconut scent, which makes no sense based on the ingredients…so I might be going crazy. But the very minor smell is delicious and clearly not overpowering at all! As I do with every new face serum I try, I used The Ordinary Hyaluronic Acid Serum at night first. I honestly didn’t have very many initial thoughts when I used it. When I woke up the next morning, I noticed that it had really helped clear up my skin. I’m always having random spots pop up on my face, and I have redness in different areas like most people. When I used this serum, I saw a decrease in my skin congestion right off the bat, and noticed my skin wasn’t as red and splotchy the next morning! I’m really confused by The Ordinary Hyaluronic Acid Serum. On the positive side, I found that this kept my skin super clear and radiant the entire time I was using it. It definitely evened out my skin tone, and left me with almost zero skin congestion, a lot less redness and discoloration, and overall, my skin looked really pretty! However, this is supposed to be a hydrating face serum, and it was anything but that. In fact, I found that I was a little drier around my nose than normal when using this serum. So I didn’t get any of the hydrating benefits whatsoever. While The Ordinary Hyaluronic Acid Serum doesn’t do what it says it’s going to do, it does have some really nice benefits about it. And for less than $7 for a serum that will last you months, I think this is absolutely worth the money! If you’re looking for a hydrating serum, this probably isn’t your best bet. But if skin discoloration, redness, or even acne-prone skin are your major skin complaints, this is definitely one to take a look at. The Ordinary offers a 365-day full refund policy on all products purchased directly from them. This is an awesome return policy, especially given how cheap their products are to begin with! 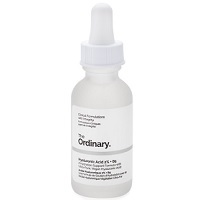 To purchase The Ordinary Hyaluronic Acid Serum, click here.